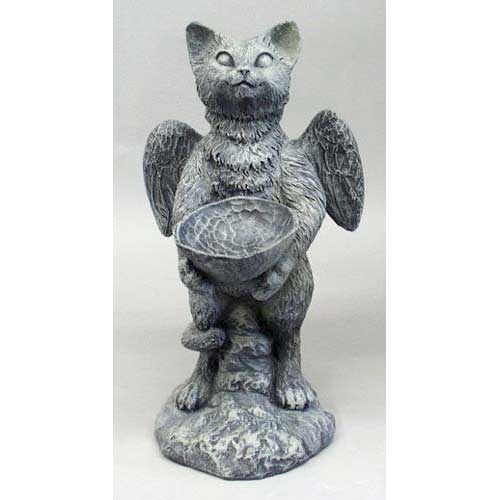 Angel cat bird feeder. What a funny garden statue. A cat with wings holding a bowl waiting for the little birdies. He might as well have a halo too. I don't think he is an angel, I think he is looking for lunch.